Roaches, alternatively referred to as cockroaches, are physically represented by six legs, two antennae, wings, and typically a brownish-red or black coloring. On average, they can measure up to and around two inches in length. In the Southeastern United States, some people may use the word palmetto bug to refer to a cockroach. Palmetto bug can be a nickname for the American Cockroach or can refer to many other types of insects. Whatever the nickname, the roach is not welcome in your home or business. Their diet consists of nearly everything including books, human food, construction material, and even other insects. You can typically find the pests in warm, moist, dark places like basements, crawl spaces, or under your sink. One important thing to know when it comes to roaches is that there are two main varieties: German and American. American roaches, otherwise known as water bugs, prefer moist environments like drains and sewers. They’re larger than their German counterparts, reddish brown with tan markings on their pronotum, and one female can produce over 800 offspring in a year. German cockroaches are smaller and prefer to hide in cracks and crevices with light brown coloration with two dark stripes down their tops. Their biggest defining characteristic is how rapidly they reproduce, with one female capable of creating 30,000 babies in a single year. They’re not sanitary creatures. They enjoy eating garbage, breed in sewage, and are consistently leaving waste and mess around everywhere they go. This means that their bites, even if they’re rare, are especially dirty and can potentially spread contaminants that can lead to harmful infections or make you more susceptible to contracting disease. They’re dirty in general, so their presence can also make existing allergies or asthma flare up more than usual for people living in the same environment as them. Any home or business is an ideal breeding ground for most species of cockroach. There is food, warmth, water, and nesting sites that make year round nesting easy for them. The best way to keep them out is by being vigilant about home cleanliness, both interior and exterior, to make access to food (they prefer garbage and crumbs for the most part) more difficult. How can I prevent roaches? The first step toward roach prevention is the elimination of the food sources they covet. This, in general, means being especially conscientious of cleanliness. Wipe down kitchen appliances, keep cabinets organized, don’t leave dirty plates in the sink or half-empty sugary drinks laying out. Keep crumbs swept up, store all food in sealed containers, use trash cans with tightly fitted lids, and vacuum all areas of your home regularly. Eliminate water sources as well by fixing any leaky faucets or pipes as soon as you notice them and avoid leaving dirty rags and sponges in the sink to gather bacteria. The last thing you need to do is eliminate their potential hiding places by caulking any holes or crevices they might hide in, and keeping an eye on any potential hiding spaces. Lastly, exclusion efforts outside of your home are the final way to keep them from coming in. Keep a tidy yard, rake regularly, trim back any bushes or greenery that is especially prone to overgrowth. How can Gregory Pest remove roaches from my home or business? An expert exterminator from Gregory Pest Solutions will be your full-service pest solutions provider specializing in the effective, humane removal and prevention of roaches from your home or business. Whether your problem is seeing a few or an entire family of roaches, our roach experts will develop a plan of action that will eliminate any that are currently in your property and prevent them from becoming re-established in the future. 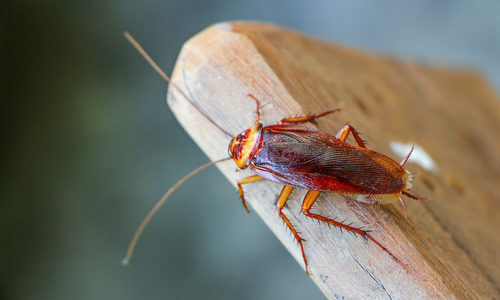 Using targeted baits, insect growth regulators, and cockroach removal processes, we can guarantee you peace-of-mind knowing that cockroaches will not continue to be a problem for you.